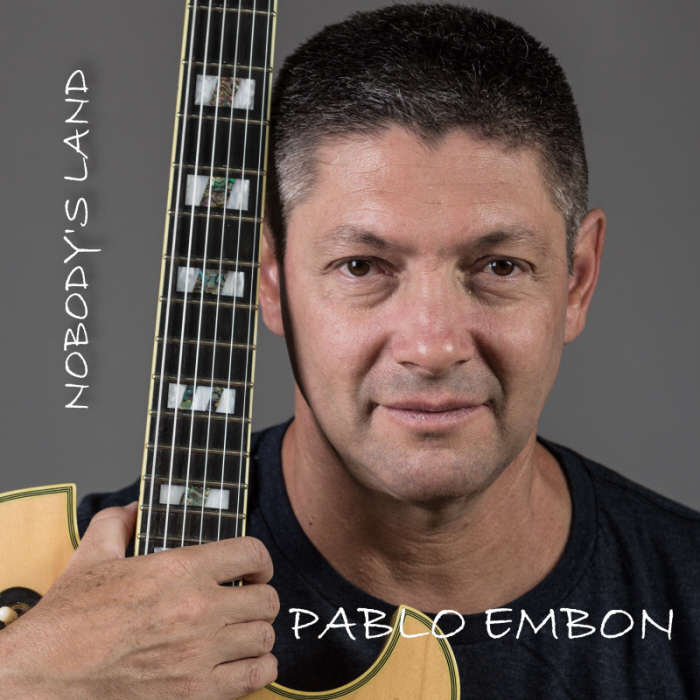 Pablo Embon – Nobody’s Land – Album Review | The Ark of Music – The best music in the world…you never knew existed. Now, the Jazz-fusion gods have once again smiled upon us at TAOM, as Mr. Embon is adding to an already astonishing anthology of music by releasing his 17th album, Nobody’s Land, a simply wonderful collection of imaginative, genre-crossing, sonic light which further showcases the man’s perpetual evolution as an artist. Inspired by the idea of true artistic freedom, and with a brightly fashioned speed and precision, the album opens with, Dragonfly, a straight-up Jazz number with some mighty improv work happening—particularly between 1:09—1:56. Wow. Back-to-back tracks, Absent Minded, and The Days We’ve Lived, had me closing my eyes and thinking about the light and freeing experience of forgiveness. In these tracks in particular, I think one can get a real and accurate sense of Embon’s level of mastery, and his ability to turn off his mind—and let the artful energy take over. The piano and acoustic guitar solos are just magical. Impossible to choose between the following two tracks, I’m going with two favorites: Wistful Smiles, and Tell Your Story. The former, a light-footed dance across a gentle sonic palette of breezy keys and airy percussion—and with a delicious and unexpected electric guitar solo at 3:07. The latter, a blissed-out near-meditative experience which features ambient electric guitar tones and a dreamy-dreamy string section. As a pair, I believe these two tracks offer a glimpse into the quieted and peaceful state of mind of their creator. Washed Out offers us a touch of R&B, particularly in its guitar flavor. I keep thinking… “Island R&B”…? Estela’s :55 intro is reason enough to stop by. A few intimate electric guitar notes then open slowly into yet another slowly sprawling adventure of color, love, and tenderheartedness. Here, the entire orchestral toolbox is at Pablo’s mercy. As if we needed more mercy, we are sent off with, Morning T, a minimalist dance of keys that, at only 1:49, hangs around just long enough to make us hit “Repeat”. Open. Flowing. Free. These words best describe the listening experience of musician, composer & sonic architect, Pablo Embon’s 17th studio album, Nobody’s Land. As a member of the music press, I am bombarded with music of all kinds on a daily basis. This saturating inevitability can—at times—remove the magic from the music. That said, there are rare talents whose work reverses said condition, and beckons the listener inside—no matter what their condition may be. This album is one such body of work. I know of no higher compliment I can pay this master of his art-form, who, unbelievably, still finds himself humbled by the never-ending process of his craft—even in the face of all of his own musical greatness. We look so very much forward to the next album. 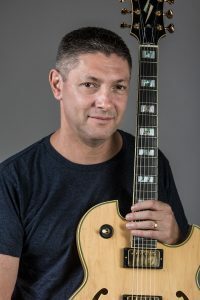 BELOW: Check out our full artist interview with Pablo Embon, listen to his album, Nobody’s Land, connect with his website and social media platforms, watch his music video, and find his booking & contact information. Please support Pablo Embon by visiting him online, and playing, downloading, and/or purchasing his music, or attending a live show! And, as always, thank you for supporting real music!